Hello All! New recruit! Veteran WOW player up through cataclysm. Took a six year break and came back about 8 months ago. Recently boosted a Horde Mage to 110. Looking for runs to help get geared up!! Don't be shy, come say hello! 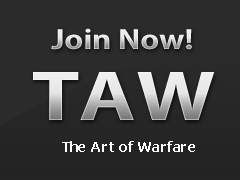 Welcome to TAW my friend, hope you have a lot of fun in the WW Division.